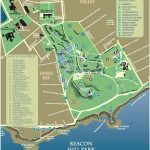 Make sure you have your walking shoes because Beacon Hill Park is 200 acres, which is about 1/4 of the size of Central Park in New York city. 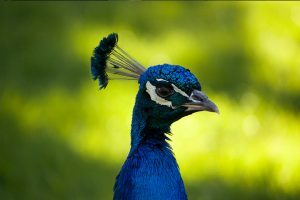 As Victoria locals ourselves, we often see people standing outside the perimeter of the park, confused, not sure what to do. That is why we made this video, to give our friends who are visiting from out of town an idea of how to #1 walk through the park and #2 what landmarks you might want to check of your list as you walk through the park. We start our walking tour through Beacon Hill Park at the corner of Southgate and Heywood Streets close to Cook Street Village. #10 Gary Oak Meadows. Gary Oaks are native to southern Vancouver Island and grow in meadows where they have exposure to sunlight and wind. #9 Goodachers Lake and the Turtles on the Log. The turtles are not native to the lake. They are exotic pet store turtles brought over by Victoria residents. This is why the population goes up and down, because they cannot reproduce in Goodachers lake. #8 Stone Bridge is a beautiful location for a photoshoot and the Great Blue Herons come back to nest here every year. #7 Moss Lady – I have a previous video with the step by step making of Moss Lady with one of the creators Dale Doebert. Moss Lady was inspired by the Mud Maid erath sculpture found in the Lost Gardens of Heligan near Mevagissy in Cornwall. #6 Mini Bridges – The winding paths, flowers, trees and wildlife are a feast for the eyes through Beacon Hill Park. #5 Sequoia Tree Across from Beacon Hill Children’s Farm – This tree is easy to climb and has been worn smooth by all the travelers who have sat to have their picture taken on its branches. #4 Running of the Goats or Goat Stampede happens everyday at 10:10 am in the Beacon Hill Park Children’s Farm. #3 World’s Tallest Totem Pole – June 30, 1956, the world’s tallest totem pole, a Story Pole was erected in Beacon Hill Park. 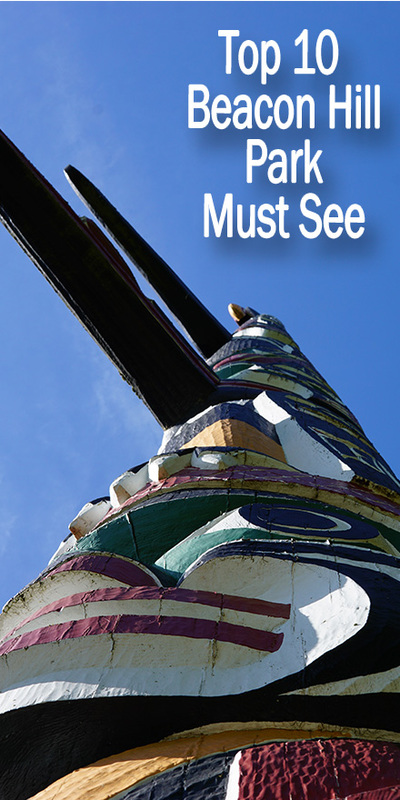 Carved by a team led by Mungo Martin, Kwakiutl tribal chief and renowned carver, When installed, it was the world’s tallest free-standing story pole, now Albert Bay BC claims the world’s tallest totem pole. #2 Beacon Hill Lookout – Climb up to the top of Beacon Hill for a view of the Olympic Mountains. #1 Visit Terry Fox at Mile 0 Memorial Site. The Mile 0 marker is the start of the over 8,000 km Trans-Canada Highway that spans the entire length of Canada. For all you gen-xers who grew up doing the Terry Fox Run in Canada, this is where Terry Fox would have finished his cross country run to raise money for cancer research. I still get teary eyed every time I pass the statue. If you made it all the way to the end of this video, give yourself a thumbs up and put, “I want ice cream too” in the comments!